Just a few snaps from what's been happening around here lately. I've been spending quality time with my family, taking full advantage of my summer break, and embracing lots of colorful photo opportunities. As I mentioned earlier today, I am really excited about some collaborations that I'm prepping for and simply can't wait to share (check out the first one here with Social Dress Shop!). 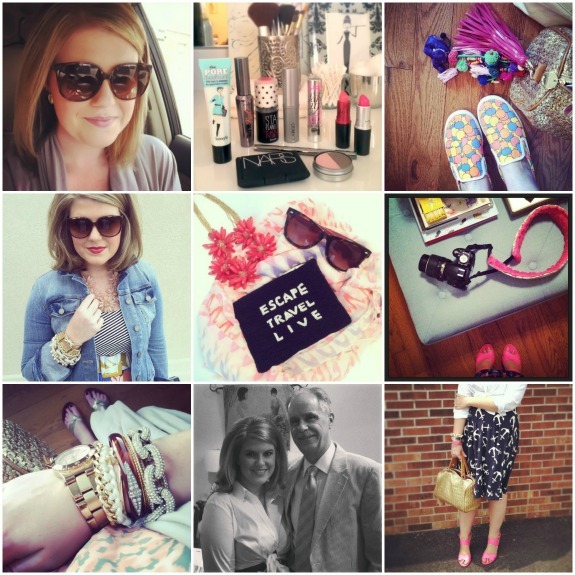 I get very excited about teaming up with brands (and bloggers) that I love! As always, your support is incredible and I can't thank you enough! Curious what I'm up to every day? Keep up with me on instagram! Love your hair straight too! It looks so cute. Love the modern new do! Very cute! I love your hair straight!! It looks so pretty! I love your hair straight like that–you should wear it that way more often!